A powerful and unflinching account of the enduring impact of nuclear war, told through the stories of those who survived On August 9, 1945, three days after the atomic bombing of Hiroshima, theUnited States dropped a second atomic bomb on Nagasaki, a small port city on Japan's southernmost island. An estimated 74,000 people died within the first five months, and another 75,000 were injured. Published on the seventieth anniversary of the bombing, Nagasaki takes readers from the morning of the bombing to the city today, telling the first-hand experiences of five survivors, all of whom were teenagers at the time of the devastation. 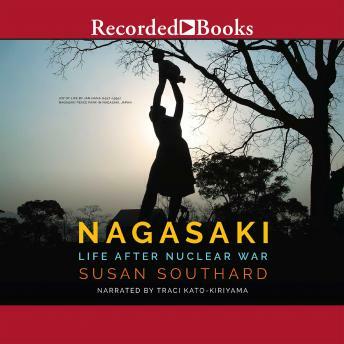 Susan Southard has spent years interviewing hibakusha ("bomb-affected people") and researching the physical, emotional, and social challenges of post-atomic life. She weaves together dramatic eyewitness accounts with searing analysis of the policies of censorship and denial that colored much of what was reported about the bombing both in the United States and Japan. A gripping narrative of human resilience, Nagasaki will help shape public discussion and debate over one of the most controversial wartime acts in history.